We all go through several major events in our lives, from marriage and divorce, births and deaths, and even moving house or changing jobs. 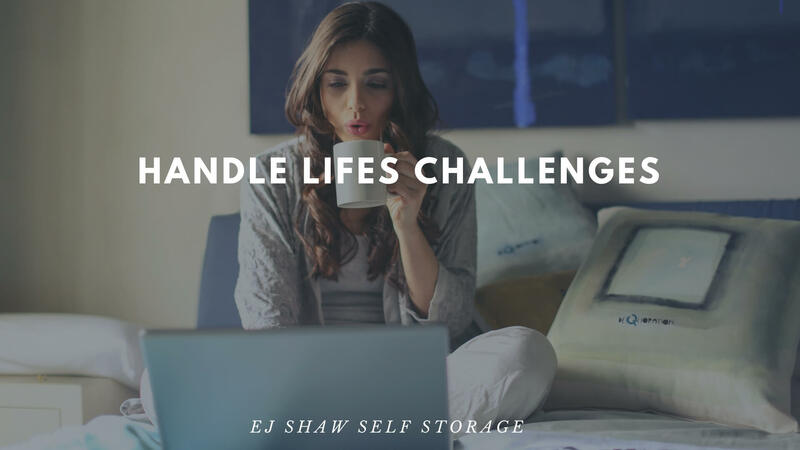 For the most part, having access to Self Storage in Freshwater from EJ Shaw Storage would make handling these situations a bit easier. Here are a few examples of the life events that Self Storage inFreshwater could help you handle. We all need to declutter from time to time and going through your belongings to get rid of the things you no longer use can be healthy. There are some points in your life where you may even need to downsize into a smaller home, like when you first move out of home or when you retire. Access to Self Storage in Freshwater during these stages means you have the extra space to keep the items you want while still freeing up some room in your home. While you can’t exactly plan for a divorce, using Self Storage in Freshwater can make a marriage breakdown a little less stressful. If you need to move into a smaller living space, you can store your excess belongings in a storage unit. Self Storage in Freshwater can also give you the space to store your belongings if you need to move out before you find your next home. Moving to a new house or remodelling your current home can be very stressful, and using Self Storage in Freshwater can be a big help during these times. If you need to move your items out of your current home before your new home is ready, putting your belongings in a storage unit means you don’t need to worry about them. While you’re renovating, you might consider moving your valuables into Self Storage to protect them from the dust and mess associated with remodelling. Sports gear can take up a lot of the storage space in your home. Most sports are only played during certain times of the year, so putting them in Self Storage in Freshwater can free up a lot of extra storage space in your home. Sports gear is also quite expensive, and storage facilities like EJ Shaw Storage have higher quality security measures than you could provide in your own home, so your gear would be more protected. Any hobbies that you have might also require a large amount of storage space. With a Self Storage unit, you don’t need to worry about the space your hobby will take up. If you find yourself in any of these life situations, Self Storage in Freshwater from EJ Shaw Storage can help give you peace of mind.